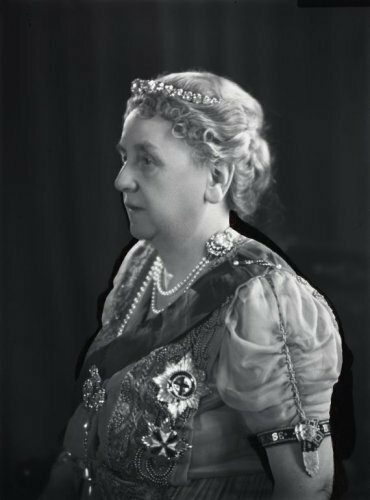 Wilhelmina (Dutch pronunciation: [ʋɪlɦɛlˈminaː] ( listen); Wilhelmina Helena Pauline Maria; 31 August 1880 – 28 November 1962) was Queen of the Netherlands from 1890 until her abdication in 1948. Wilhelmina was the only child of King William III and his second wife Emma of Waldeck and Pyrmont. At the age of four she became heir presumptive to the Dutch throne after her half brother and great uncle died. She became queen when her father died, when she was 10 years old. As she was still a minor, her mother served as regent until she turned 18 years old. In 1901, she married Duke Henry of Mecklenburg-Schwerin with whom she had a daughter Juliana. She reigned for nearly 58 years, longer than any other Dutch monarch. 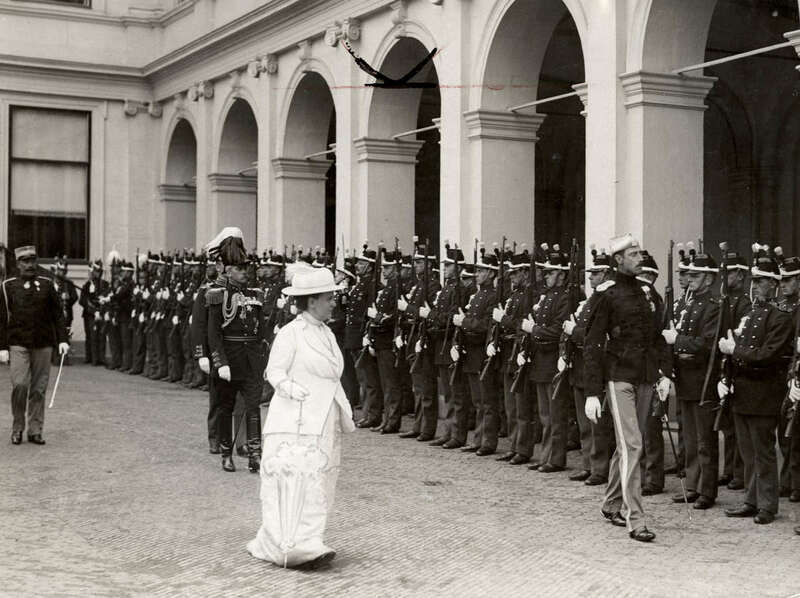 Her reign saw the First and the Second world wars, the Dutch economic crisis of 1933, and the decline of the Netherlands as a major colonial power. Outside the Netherlands she is primarily remembered for her role in World War II, in which she proved to be a great inspiration to the Dutch resistance. Princess Wilhelmina Helena Pauline Maria of the Netherlands, Princess of Orange-Nassau, was born on 31 August 1880 at Noordeinde Palace in The Hague, Netherlands. She was the only child of King William III and his second wife, Emma of Waldeck and Pyrmont. Her childhood was characterised by a close relationship with her parents, especially with her father, who was 63 years old when she was born. King William III had had three sons with his first wife, Sophie of Württemberg, but two of them had died before Wilhelmina's birth, and the third brother also died before she turned four. None of them had ever married. The only other surviving male member of the House of Orange was the King's uncle, Prince Frederick of the Netherlands, but he had no son either, only daughters, and he died in 1881 when Wilhelmina was one year old. By 1887, the King, now seventy years of age, finally despaired of begetting a son upon his young wife, and made the pragmatic decision to settle the throne upon his only daughter. Under the Semi-Salic system of inheritance that was in place in the Netherlands until 1887, she was third in line to the throne from birth. When Prince Frederick died a year later in 1881, she became second in line. When Wilhelmina was four, Alexander died and the young girl became heir presumptive. King William III died on 23 November 1890. Although 10-year-old Wilhelmina became queen of the Netherlands instantly, her mother, Emma, was named regent. Wilhelmina was sworn-in and inaugurated at the Nieuwe Kerk in Amsterdam on 6 September 1898. On 7 February 1901 in The Hague, she married Duke Henry of Mecklenburg-Schwerin. Nine months later, on 9 November, Wilhelmina suffered a miscarriage, and on 4 May 1902 she gave birth to a premature stillborn son. Her next pregnancy ended in miscarriage on 23 July 1906. During this time period, Wilhelmina's heir presumptive was her first cousin once removed William Ernest, Grand Duke of Saxe-Weimar-Eisenach, and next in line was his aunt (and Wilhelmina's cousin) Princess Marie Alexandrine of Saxe-Weimar-Eisenach. As it was assumed that the former would renounce his claim to the Dutch throne, and that the latter was too elderly and sickly to become Queen, Marie Alexandrine's eldest son Prince Heinrich XXXII Reuss of Köstritz stood in line to succeed Wilhelmina, assuming she had no surviving children. Heinrich was a German prince with close associations with the Imperial family and the military; and there were fears that were the Queen to remain childless, the Dutch Crown "was bound to pass into the possession of a German prince, whose birth, training, and affiliations would naturally have led him to bring Holland [sic] within the sphere of the German Empire, at the expense of her independence, both national and economic", according to one contemporary publication. The birth of Juliana, on 30 April 1909, was met with great relief after eight years of childless marriage. Wilhelmina suffered two further miscarriages on 23 January and 20 October 1912. Wilhelmina had a stern dislike of the United Kingdom partly as a result of the annexation of the republics of Transvaal and Orange Free State in the Boer War. The Boers were descendants of early Dutch colonists, to whom Wilhelmina and the people of the Netherlands felt very closely linked. In conversation with her former governess Elisabeth Saxton Winter, she once teasingly referred to the Boer soldiers as "excellent shots". She was not amused to hear that a Dutch medical relief team was planning to accommodate the needs of both Boer and British wounded soldiers. Nevertheless, in 1940, King George VI sent the warship HMS Hereward, to rescue Wilhelmina, her family and her Government and bring them to safety to the United Kingdom, which offered the Netherlands facilities including broadcasting time on the BBC. Queen Wilhelmina also had a keen understanding of business matters and her investments made her the world's richest woman, as well as the world's first female billionaire (in United States dollars). Before the First World War started, the young Wilhelmina visited the powerful German Emperor Wilhelm II. The Emperor thought he could impress the queen of a relatively small country by telling her, "My guards are seven feet tall and yours are only shoulder-high to them." Wilhelmina smiled politely and replied, "Quite true, Your Majesty, your guards are seven feet tall. But when we open our dikes, the water is ten feet deep!" Wilhelmina was a "soldier's queen"; being a woman, she could not be Supreme Commander, but she nevertheless used every opportunity she had to inspect her forces. On many occasions she appeared without prior notice, wishing to see the reality, not a prepared show. She loved her soldiers, and was very unhappy with most of her governments, which were always eager to cut the military budget. Wilhelmina wanted a small but well trained and equipped army. In the war, she felt she was a "Queen-On-Guard". She was always wary of a German attack, especially in the beginning. However, the chief violation of Dutch sovereignty was the Allied blockade. At the end of World War I, Kaiser Wilhelm fled to the Netherlands, where he was granted political asylum, partly owing to his familial links with Queen Wilhelmina. In response to Allied efforts to get their hands on the deposed Kaiser, Wilhelmina called the Allies' ambassadors to her presence and lectured them on the rights of asylum. During the 1920s and 1930s, the Netherlands began to emerge as an industrial power. Engineers reclaimed vast amounts of land that had been under water by building the Zuiderzee Works. In 1934, both Wilhelmina's mother Queen Emma and her husband, Prince Hendrik, died. Most of the 1930s were also occupied by the need to find a suitable husband for Juliana. This was a difficult task since Wilhelmina was very religious, and insisted that her daughter's hand be given to a Protestant of royal birth. Several prospects from the United Kingdom and Sweden either declined or were turned down by Juliana. Finally, Wilhelmina found a suitable match for her daughter in Prince Bernhard of Lippe-Biesterfeld, a German aristocrat. The marriage initially drew some controversy due to rumours that Bernhard was pro-Nazi. It was subsequently confirmed that he had indeed been a member of the Nazi Party and of the so-called Reiter-SS (SS Cavalry Corps), as was proved by the Dutch national institute for war documentation, NIOD. In 1939, the government proposed a refugee camp near the city of Apeldoorn for German Jews fleeing the Nazi regime. Wilhelmina intervened, as she felt the planned location was "too close" to her summer residence. If indeed spies were to be among the fugitives, they would be within walking distance of Het Loo Palace. The camp was finally erected about 10 km from the village of Westerbork. On 10 May 1940, Germany invaded the Netherlands. There is an ongoing debate about the departure of the Queen and the royal family. Some say that an evacuation to the United Kingdom of the royal family had been planned some time in advance, since at least the end of 1939. Wilhelmina and her family fled The Hague, and she boarded HMS Hereward, a British destroyer which was to take her across the North Sea. Others say she boarded the destroyer with the intent of going to the Dutch province of Zeeland, which had not yet been conquered. However, along the journey, it became clear that due to advancing German forces, Zeeland was not safe either, forcing the destroyer to sail for the United Kingdom. In any case, she arrived in the United Kingdom on May 13, planning to return to the Netherlands as soon as possible. The Queen speaking to the US Congress, 1942. Relations between the Dutch government and the Queen were tense, with mutual dislike growing as the war progressed. Wilhelmina went on to be the most prominent figure, owing to her experience and knowledge. She was also very popular and respected among the leaders of the world. The government did not have a parliament to back them and had few employees to assist them. The Dutch prime minister, Dirk Jan de Geer, believed the Allies would not win and intended to open negotiations with Germany for a separate peace. Therefore Wilhelmina sought to remove De Geer from power. With the aid of a minister, Pieter Gerbrandy, she succeeded. Although celebration of the Queen's birthday was forbidden by the Germans, it was commemorated nevertheless. When churchgoers in the small fishing town of Huizen rose and sang one verse of the Dutch national anthem, Wilhelmus van Nassauwe, on the Queen's birthday, the town paid a fine of 60,000 guilders. Queen Wilhelmina visited the United States from 24 June to 11 August 1942 as guest of the U.S. government. 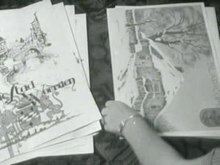 She vacationed in Lee, Massachusetts, and visited New York City, Boston, and Albany, New York. In the latter city she attended the 300th anniversary celebration of the First Church in Albany, the city's oldest, established by Dutch settlers in the 17th century. She addressed the U.S. Congress on 5 August 1942, and was the first queen to do so. Queen Wilhelmina went to Canada in 1943 to attend the christening of her grandchild Princess Margriet on 29 June 1943 in Ottawa and stayed a while with her family before returning to the United Kingdom. In England, she developed ideas about a new political and social life for the Dutch after the liberation. She wanted a strong cabinet formed by people active in the resistance. She dismissed De Geer during the war and installed a prime minister with the approval of other Dutch politicians. The Queen "hated" politicians, instead stating a love for the people. When the Netherlands was liberated in 1945 she was disappointed to see the same political factions taking power as before the war. In mid-March 1945 she travelled to the liberated areas of the southern Netherlands, visiting the region of Walcheren and the city of Eindhoven where she received a rapturous welcome from the local population. On 2 May 1945 she returned to the Netherlands, coming to live in a small country estate called Anneville located just south of Breda. She arrived in the company of Princess Juliana and adjuncts Peter Tazelaar, Erik Hazelhoff Roelfzema and fellow Engelandvaarder Rie Stokvis. Anneville was the scene of a number of processions where the residents of Breda and the surrounding communities came to greet their queen. She remained there for a little over 6 weeks. Shortly after the war, Queen Wilhelmina wanted to give an award to the Polish Parachute Brigade for their actions during Operation Market Garden and wrote the government a request. The Minister of Foreign Affairs, Eelco van Kleffens, opposed the idea, as he thought an award for the Poles would upset the relations with the 'Big Three' and harm national interests. The Polish Parachute Brigade was awarded the Military Order of William on 31 May 2006 after 61 years. 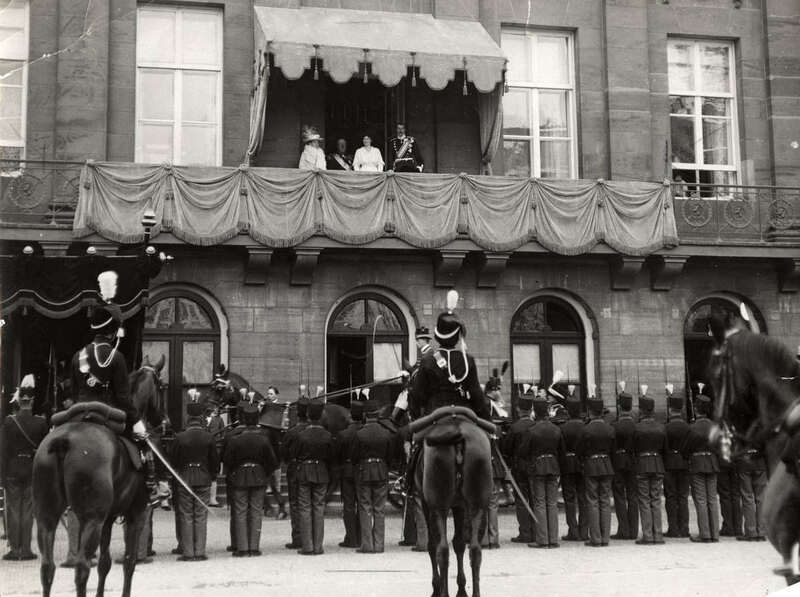 Following the end of World War II, Queen Wilhelmina made the decision not to return to her palace but to move into a mansion in The Hague, where she lived for eight months. She travelled through the countryside to motivate people, sometimes using a bicycle instead of a car. However, in 1947, while the country was still recovering from World War II, the revolt in the oil-rich Dutch East Indies saw sharp criticism of the Queen by the Dutch economic elite. Around the same time, Wilhelmina's health started failing her, forcing her to cede her monarchial duties to Juliana temporarily towards the end of 1947 (14 October through 1 December). 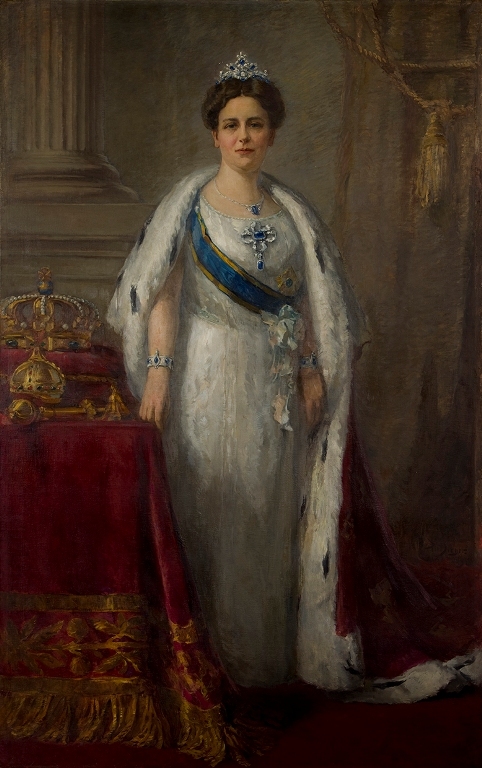 She considered abdication, but Juliana pressed her to stay on for the stability of the nation, urging her to stay on the throne until 1950 so she could celebrate her diamond jubilee. Wilhelmina had every intention of doing so, but exhaustion forced her to relinquish monarchial duties to Juliana again on 12 May 1948. The timing was unfortunate, as it left Juliana to deal with the early elections caused by the ceding of the Indonesian colonies. By 1948, Wilhelmina was the only survivor of the 16 European kings and one queen who were sitting on their thrones at the time of her coronation in 1898. The Dutch Royal Family was also one of seven European royal houses remaining in existence. On 4 September 1948, after a reign of 57 years and 286 days, Wilhelmina abdicated in favour of her daughter Juliana, because of advancing age and illness which had already caused two regencies, and the strain of the war years. She was thenceforward styled "Her Royal Highness Princess Wilhelmina of the Netherlands". After her reign, the influence of the Dutch monarchy continued to decline but the country's love for its royal family continued. 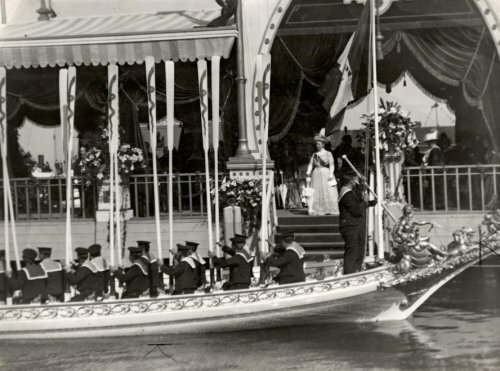 No longer queen, Wilhelmina retreated to Het Loo Palace, making few public appearances until the country was devastated by the North Sea flood of 1953. Once again she travelled around the country to encourage and motivate the Dutch people. Wilhelmina died in Het Loo Palace at the age of 82 on 28 November 1962, and was buried in the Dutch Royal Family crypt in the Nieuwe Kerk in Delft, on 8 December. The funeral was, at her request and contrary to protocol, completely in white to give expression to her belief that earthly death was the beginning of eternal life. She was the last surviving grandchild of William II of the Netherlands. According to German Salic law, the House of Orange-Nassau-Dietz became extinct upon her death, but this rule is not recognised by royal Dutch succession laws. Wilhelmina's full regnal title from her accession to her marriage was: "Wilhelmina, by the Grace of God, Queen of the Netherlands, Princess of Orange-Nassau, Duchess of Limburg, etc." She adopted her husband's ducal title upon marriage as customary, becoming also a Duchess of Mecklenburg. Since Princess Wilhelmina received no Dutch honours before ascending the throne aged ten and resigned the position of Grand Master when she abdicated in 1948, she was in the unusual position of being a Dutch princess and former queen who did not hold a Dutch honour. Her daughter and successor therefore appointed her as a Knight Grand Cross of the Military William Order. This was the only Dutch honour she ever held in her life in a personal capacity. Garter-encircled Royal Arms of Wilhelmina, Queen of the Netherlands, as displayed on her Order of the Garter placard on display in St. George's Hall, Windsor Castle. In 1892 the company Fortuin celebrated its 50th anniversary by producing mints with the image of the 12-year-old Princess Wilhelmina, which have continued in production since then. Among Dutch sweets, these mints have become the "most Dutch of all". After Wilhelmina had taken office in 1890, rumours were spread by Socialist satirical magazine De Roode Duivel ("The Red Devil") that William III was not her real father, but Emma's confidant S.M.S. de Ranitz. This would undermine the legitimacy of Wilhelmina's reign. Although no hard evidence exists for the allegations, and the consensus amongst historians is that they are false, the rumours were stubborn, and still feature in conspiracy theories circulating in republican circles. [note 1] The author of the rumour, the later parliamentarian and senator Louis Maximiliaan Hermans, was sentenced to six months imprisonment for lèse-majesté in 1895 for a different article and cartoon in De Roode Duivel, mocking the two queens. Wilhelmina. (1959). Eenzaam maar niet alleen. Amsterdam: Ten Have Uitgevers Kok. ISBN 978-90-259-5146-7. Full text (pdf, 8 MB) online. ^ a b c "Wilhelmina of Netherlands Dies" (UPI), The New York Times, 28 November 1962. pp. A1–A39. ^ "Dictionary of American Naval Fighting Ships: Wilhelmina". United States Navy. Retrieved 10 October 2009. 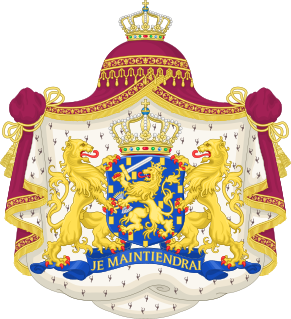 ^ a b "Genealogy of the Royal Family of the Netherlands". Geocities.com. Archived from the original on 11 October 2016. Retrieved 4 May 2013. ^ "Ontsporing koninklijke trein – Oudhouten" (in Dutch). oudhouten.nl. ^ Reston, James R. "Queen Wilhelmina goes to England," The New York Times. 14 May 1940. ^ Hicks, Pamela (2012). Daughter of Empire: My Life as a Mountbatten. Toronto: Simon & Schuster. ^ State, Paul F (2008). A Brief History of the Netherlands. New York: Infobase. ^ Henri A. van der Zee, The Hunger Winter: Occupied Holland 1944–1945, University of Nebraska Press, 1998 (ISBN 978-0803296183), pp. 200–203. ^ Hazelhoff 2003, p. 188. ^ Van Der Zee 1998, p. 281. ^ Van Kleffens, Eelco (1983). Belevenissen II 1940–1958. Alphen aan de Rijn. pp. 115–117. ^ "Queen Wilhelmina". Life. 25 (7): 83. 16 August 1948. ISSN 0024-3019. ^ a b c "H.M. (koningin Wilhelmina) koningin Wilhelmina Helena Pauline Maria, koningin der Nederlanden, prinses van Oranje-Nassau – Parlement & Politiek". Parlement.com. Retrieved 4 May 2013. ^ "The Netherlands: Princely and Royal Style: 1813–2013". Archontology.com. Retrieved 6 August 2013. 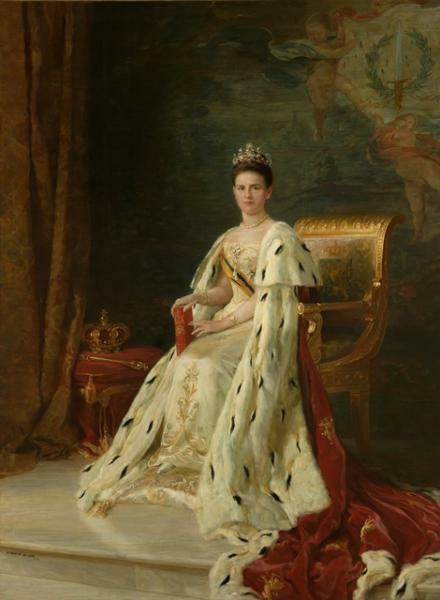 ^ "Image: 1898-queen-wilhelmina1898-2.jpeg, (352 × 440 px)". gogmsite.net. Retrieved 15 September 2015. ^ "Image: josselin-de-jong-inhuldigingsportret-koningin-wilhelmina-paleis-op-de-dam.440.600.s.jpg, (440 × 600 px)". paleisamsterdam.nl. Archived from the original on 24 September 2015. Retrieved 15 September 2015. ^ "Image: 1905_wilhelmina_from_intern.jpg, (728 × 983 px)". gogmsite.net. Retrieved 15 September 2015. ^ "Queen Wilhelmina of the Netherlands | Just Interesting Things | Pinterest". pinterest.com. Retrieved 15 September 2015. 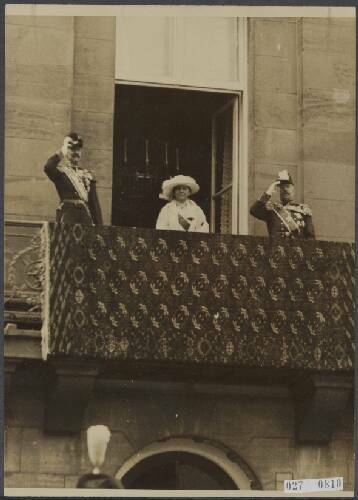 ^ "Koningin Wilhelmina en Prinses Juliana in witte rouw, Prinsjesdag 1934 | ~Dutch History~ | Pinterest". pinterest.com. Retrieved 15 September 2015. ^ "Image: 1948-queen-wilhelmina-post-2.jpeg, (374 × 580 px)". gogmsite.net. 19 June 2011. Retrieved 15 September 2015. ^ "queen Wilhelmina of the Netherlands as a young woman (she became queen at age 10 and was crowned at 18; this may be a coronation portrait) | Pinterest". pinterest.com. Retrieved 15 September 2015. ^ "Image: brugj2005_06.jpg, (248 × 371 px)". heemkundesprangcapelle.nl. Retrieved 15 September 2015. ^ "Image: KONB05_53A27-04-P153-2_V-Wilhelmina-godfried-de-groot-e1406644554941.jpg, (770 × 1222 px)". royalglitter.com. Retrieved 15 September 2015. ^ "Image: wilhelmina klein.jpg, (482 × 768 px)". datisoss.nl. 3 April 2013. Archived from the original on 8 May 2015. Retrieved 15 September 2015. ^ "Queen Wilhelmina – The Netherlands | Royalty | Pinterest". pinterest.com. Retrieved 15 September 2015. ^ "Young queen Wilhelmina of the Netherlands wearing her Wedding gift diamond and sapphire parure. The parure was dismantled after her death during th… | Pinterest". pinterest.com. Retrieved 15 September 2015. ^ "Queen Wilhelmina | Koningin Wilhelmina | Pinterest". pinterest.com. Retrieved 15 September 2015. ^ "Het geheugen van Nederland". geheugenvannederland.nl. Retrieved 15 September 2015. ^ "Image: SFA03_SFA022821157_X.jpg, (1200 × 897 px)". resources21.kb.nl. 22 June 2009. Archived from the original on 2 April 2015. Retrieved 15 September 2015. ^ "Image: SFA022821155.jpg, (500 × 371 px)". neon.pictura-hosting.nl. Archived from the original on 2 April 2015. Retrieved 15 September 2015. ^ "Image: SFA03_SFA022821634_X.jpg, (1200 × 896 px)". resources21.kb.nl. 29 June 2009. Archived from the original on 2 April 2015. Retrieved 15 September 2015. ^ "Image: 671471d7-a581-1bf6-ced4-1f94576f49e3.jpg, (358 × 500 px)". afbeeldingen.gahetna.nl. Retrieved 15 September 2015. ^ "Bijlagen 161 1—2 Tweede Kamer | 1 Overeenkomst met tle Dnminicaansclie Republiek betreffende de consulaire ambtenaren". 16 October 2009. Retrieved 15 September 2015. ^ "Dames of the Royal Order of Queen María Luisa of Spain | Geneall.net". geneall.net. Retrieved 15 September 2015. ^ "ROYALBLOG.NL: Ridders bij opening Ridders-expositie". gpdhome.typepad.com. Retrieved 15 September 2015. ^ "6a00d8341c648253ef01b7c75f3d40970b-pi". gpdhome.typepad.com. Retrieved 15 September 2015. ^ "St. Petersburg Times – Google News Archive Search". news.google.com. Retrieved 15 September 2015. ^ "Image: b010164033286.jpeg, (370 × 500 px)". stadsarchief.amsterdam.nl. Archived from the original on 2 April 2015. Retrieved 15 September 2015. ^ "szjSwu0sP90Z2pChr99DIJR0n8MDnHVW4nwcKHL8X2GNZ-nEqoOY46mQhQAYDe6kEvrqEDp8OQIghnzlGeUravot0iU". lh3.ggpht.com. Retrieved 15 September 2015. ^ "Piet Worm, Het gouden prentenboek 1898–1948 · dbnl". dbnl.org. Retrieved 15 September 2015. ^ Sweets: A History of Candy "Europe: Wilhelmina Mints"
^ Jan Bank (2012). "Wilhelmina (1880–1962)". Historici.nl. Huygens Institute for the History of the Netherlands. Retrieved 24 May 2015. ^ Cees Fasseur, De gekroonde republiek (2011) p. 56. ^ Ruud Verdonck (14 November 1998). "Zelfgebreide republikeinen". Trouw. Retrieved 24 May 2015. ^ Laurens Dragstra (26 August 2014). "Het kind van de koning". KloptDatWel.nl. Stichting Skepsis. Retrieved 11 August 2016. ^ J. van Bree (2013). "Koningskind. Royal Detective". Bol.com. Retrieved 29 October 2015. ^ Jaap Pleij (26 February 2013). "Arjen Lubach schrijft adembenemende koninklijke thriller". Roosendaal24. Archived from the original on 4 March 2016. Retrieved 29 October 2015. ^ "Rechtzaken Majesteitschennis". De Tijd. 12 December 1895. Retrieved 11 August 2016. ^ "Zaak-Hermans". De Tijd. 18 December 1895. Retrieved 11 August 2016. ^ The royal detective Koningskind (2011) by Rob van Hoorn and the thriller IV (2013) by Arjen Lubach both revolve around a fictional investigative journalist who tries finding out whether someone other than William III (perhaps De Ranitz) was the actual father of Wilhelmina, which might result in a constitutional crisis. Wikimedia Commons has media related to Wilhelmina of the Netherlands. Queen Máxima of the Netherlands is the wife of King Willem-Alexander. 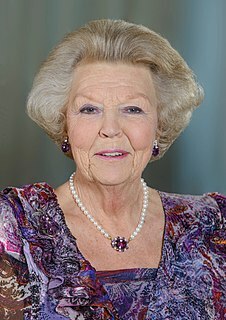 On 30 April 2013, she became the first queen consort of the Netherlands since Emma of Waldeck and Pyrmont and the first Latin American-born queen consort in the history of the Netherlands. Princess Irene of the Netherlands is the second child of Queen Juliana of the Netherlands and Prince Bernhard of Lippe-Biesterfeld. Princess Margaretha, Mrs. Ambler, is a Swedish princess, the eldest sister of King Carl XVI Gustaf of Sweden and also first cousin of Queen Margrethe II of Denmark. Princess Alexia of the Netherlands, Princess of Orange-Nassau is the second daughter of King Willem-Alexander and Queen Máxima. Princess Alexia is a member of the Dutch Royal House and second in the line of succession to the Dutch throne. Prince Carlos of Bourbon-Parma, Duke of Parma and Piacenza is the current head of the House of Bourbon-Parma, as well a member of the Dutch Royal Family. He is the uncontested traditional claimant to the defunct throne of the Duchy of Parma under the name Carlo V. In addition, he is considered by some a contested pretender to the Carlist claim to the throne of Spain under the name Carlos Javier I. In 2016 Carlos told the Spanish press that, while he "does not abandon" his claim to the throne, it is "not a priority" in his life, and he "will not dispute" [no planteo pleito] the legitimacy of King Felipe VI. Princess Maria Carolina Christina of Bourbon-Parma, Marchioness of Sala, is the fourth and youngest child of Princess Irene of the Netherlands and Carlos Hugo, Duke of Parma, and is a member of the Royal and Ducal House of Bourbon-Parma, as well as of the Dutch Royal Family.